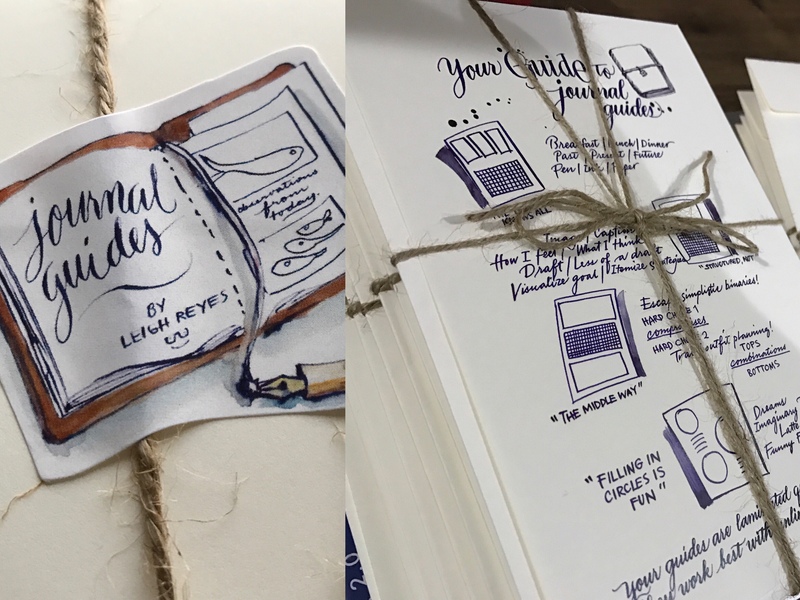 2017: Pen (re)Cap – Leigh Reyes. My Life As a Verb. I dedicate this pen re(cap) to everyone who can’t wait to write in their 2018 journals because 2017 was way too crazy in way too many ways. Japanese makers delivered novel twists in familiar shapes. 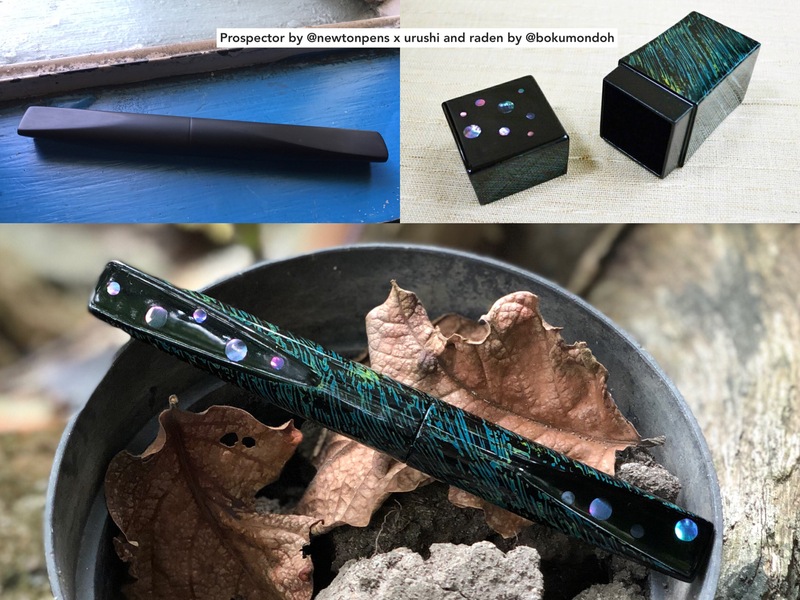 Pilot startled with its Custom Urushi with a no. 30 nib, and its Japan-only clear Kakuno inspired a mild frenzy. Platinum ventured into fields of Lilas and Lavande. 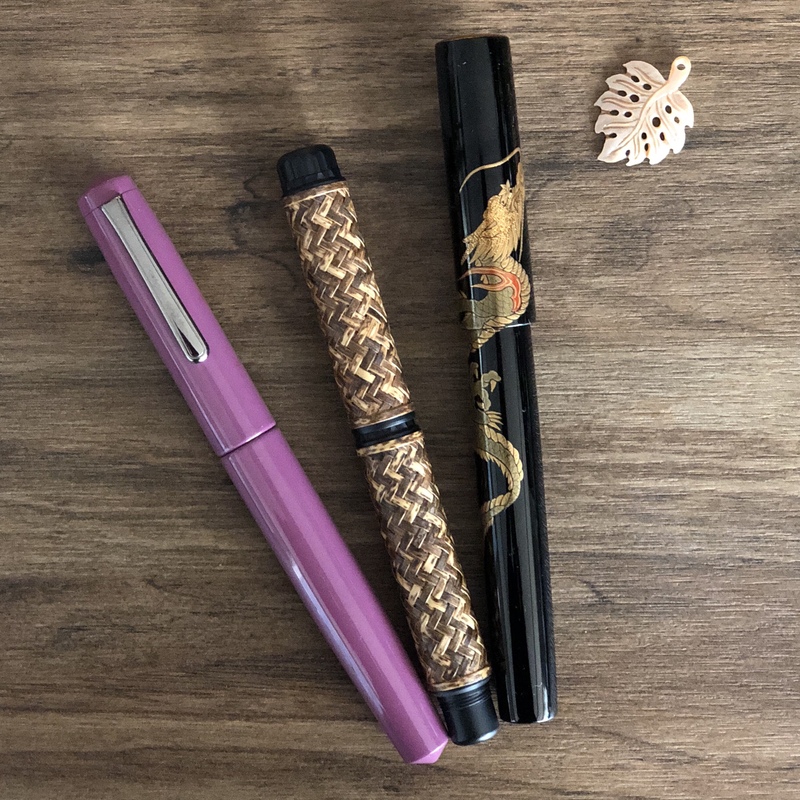 Early in the year, I welcomed a Nakaya Long Piccolo in awai murasaki from Aesthetic Bay. My next Japanese pen, also from Aesthetic Bay, came from Nakaya’s sister company Platinum – the Platinum Izumo Bamboo Weaving Yokoajiro #10 Torafu. The how-it-was-made video is satisfyingly detailed. 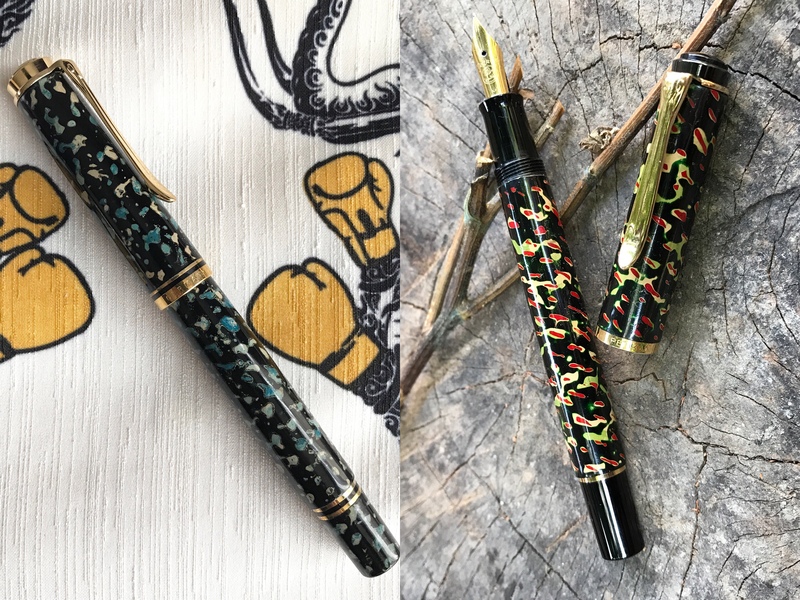 I also picked up a friendly neighborhood maki-e dragon at the Stylo Art Karuizawa table, during the San Francisco Pen Show. Fitted with a no. 15 FA nib ground to a needlepoint by Mike Masuyama, it’s a fierce addition to the heavy daily carry. This trend shows no signs of declining – good news for collectors and those new to the hobby in search of the unusual. Collaborations enrich material and design thinking. Independent initiatives mean delightful approaches to standard shapes – Engeika’s “lantern” take on the Platinum 3776, Bungbox’s galaxy-bound Sailors. Classic and modern meet in fresh designs incorporating vintage materials. 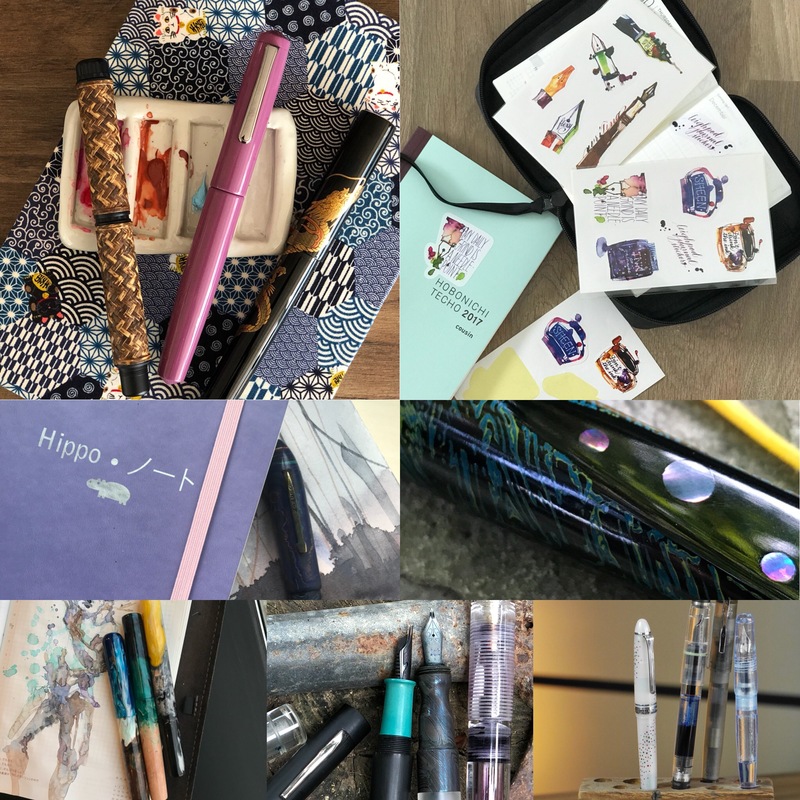 Newton Pens launched the Quapaw, Kanilea Pens introduced the Haleakala Silhouette. 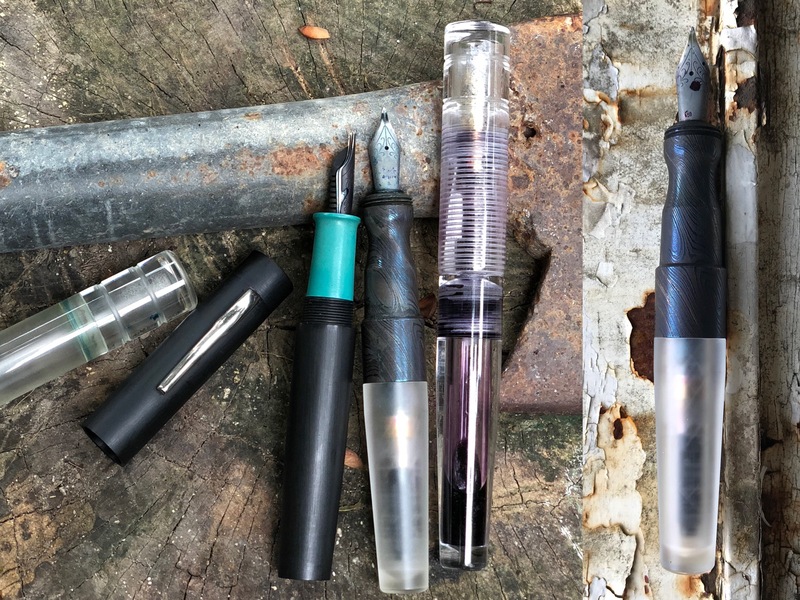 Below: Bungbox x Sailor Milky Way, Conid Minimalistica Avda, Franklin-Christoph TH20 LE, Fook Hing exclusive Franklin-Christoph P66 in Arctic Ice, Ryan Krusac x Bill Weakley LE with Parker Duofold Centennial clip and nib. 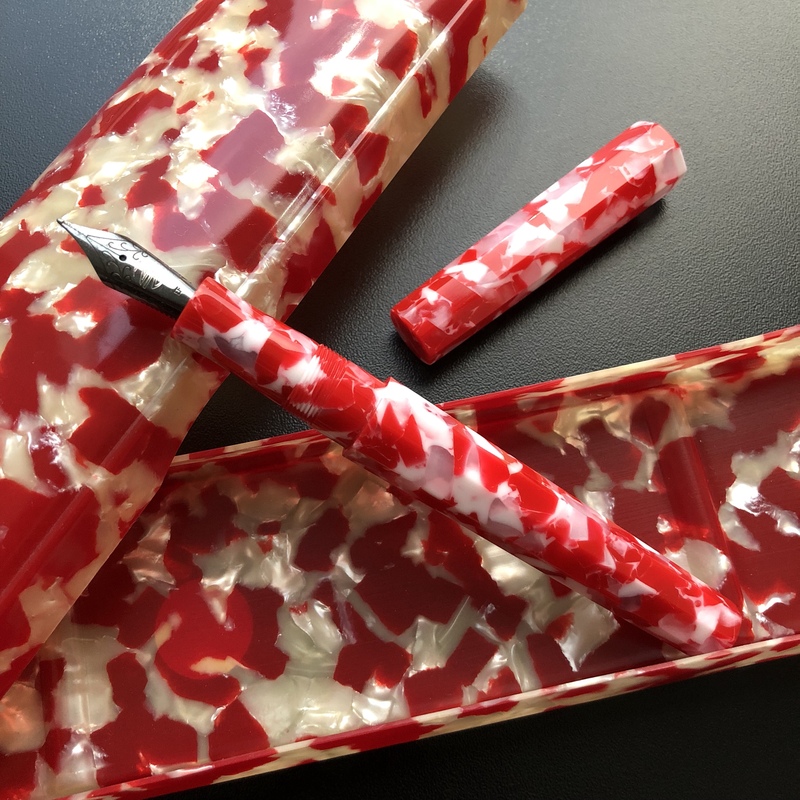 Newton Pens Quapaw in koi acrylic, just chilling with a koi celluloid pen case. This was a year of trios, it seems. 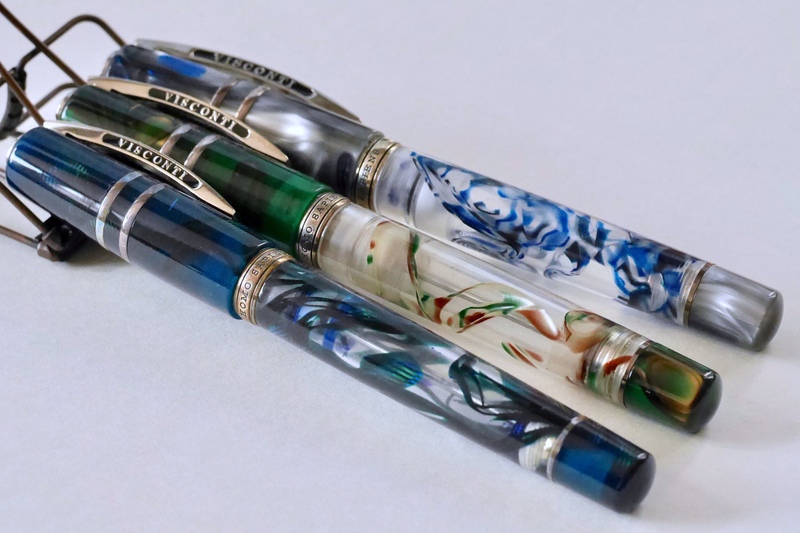 Visconti Florentine Hills and London Fog said hello to the Crystal. My Kanilea collection also grew by one. 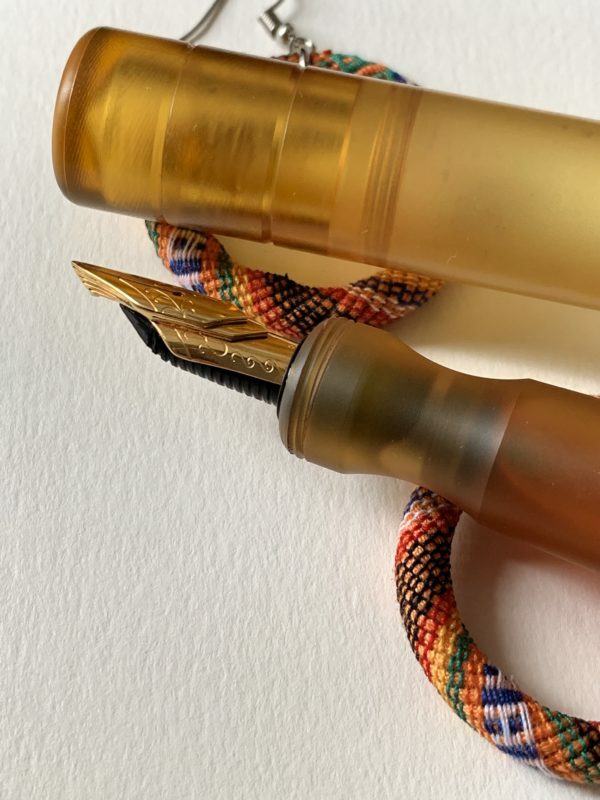 Peg & Awl’s Sendak won’t fit many of my preferred fountain pens but I appreciate the design and construction. It carries my lettering and ruling pens. 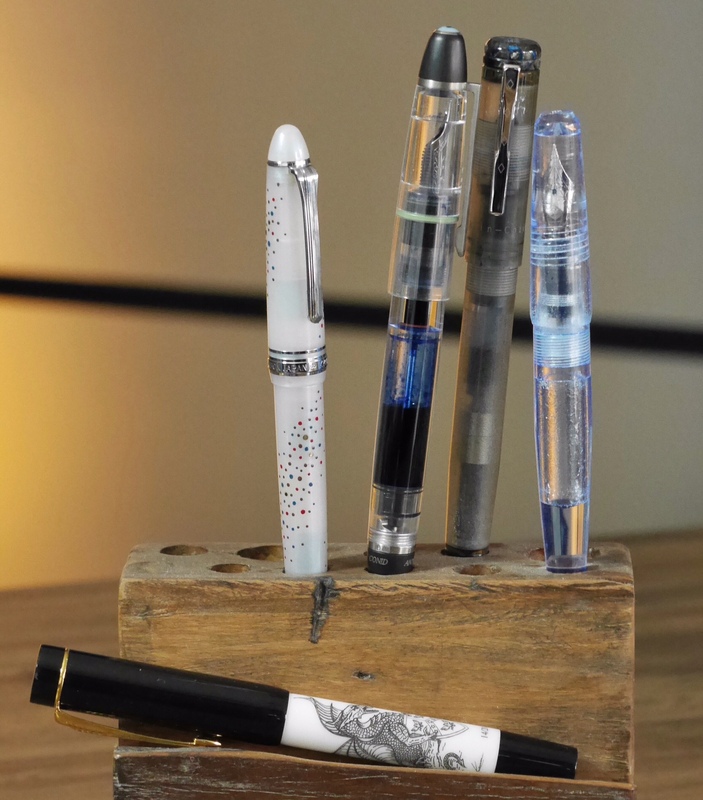 Bags by Rubbertree created the Pencordion, a deceptively simple design that secures pens of different girths. 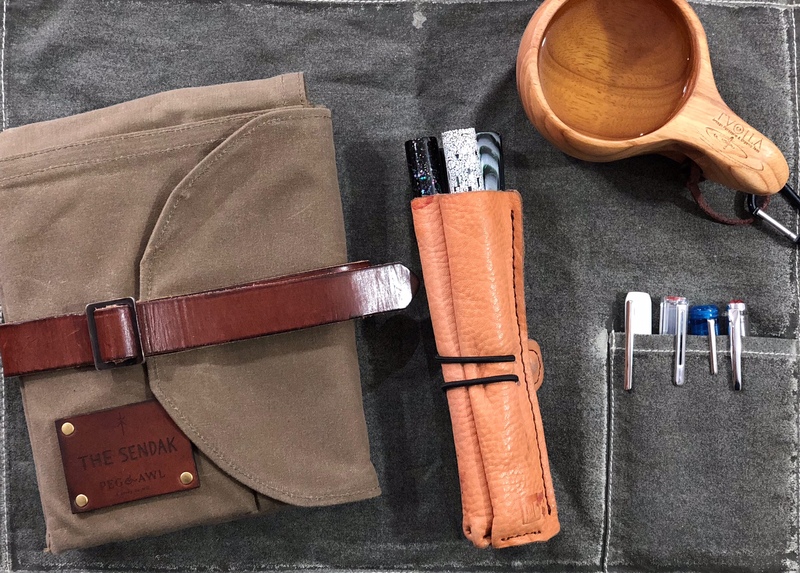 Atelier Musubi is my discovery of the year, a diary at the intersection of principles and materials I hold dear: sustainability, responsibility, culture and heritage, painstaking craft. Hippo Noto shipped its Kickstarter-powered, textbook-thick Tomoe River notebook. Taroko Design experimented with heavier-weight Tomoe River and numbered pages. 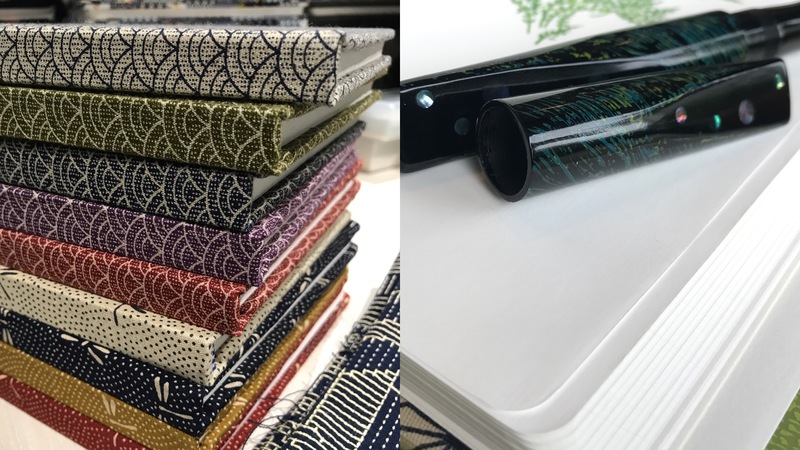 Nanami Paper came out with the Café Note, and reissued the Crossfield, much to the relief of hoarders (myself included). Life’s Margin notebook remained a regular in my bag. 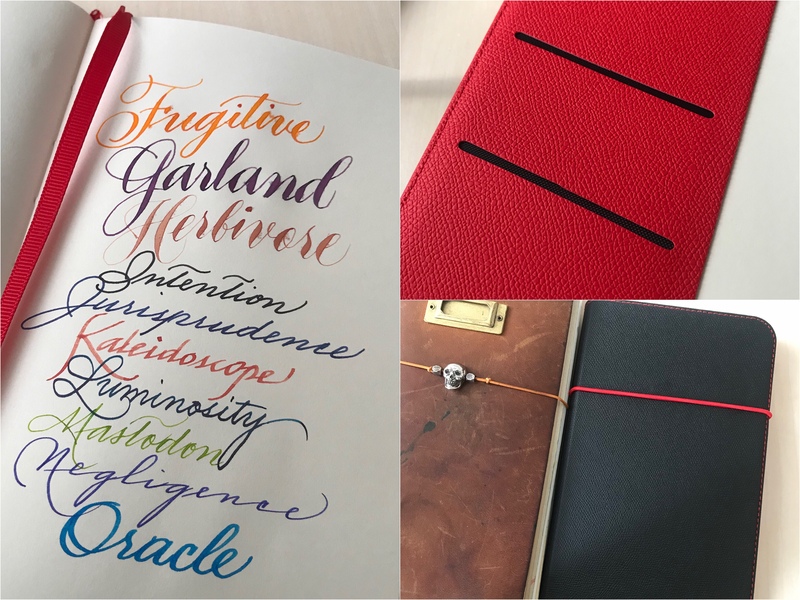 For those not as keen on Japanese paper, many retailers carry Hahnemuhle’s Diary Flex, a cover-and-notebook system. 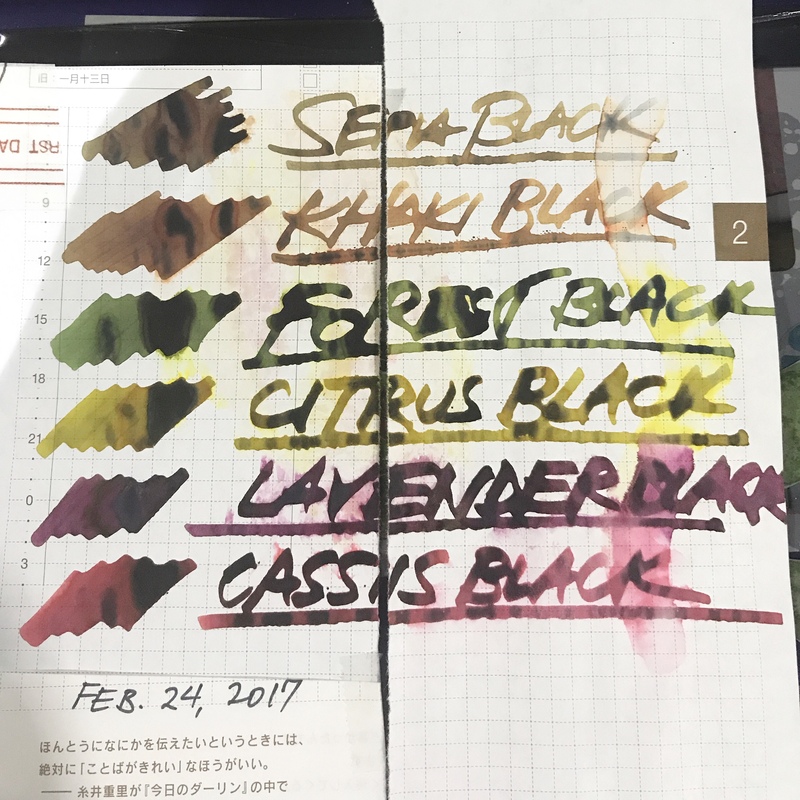 The paper manages light watercolor washes, ink in a waterbrush, fountain pens, and graphite with competence. 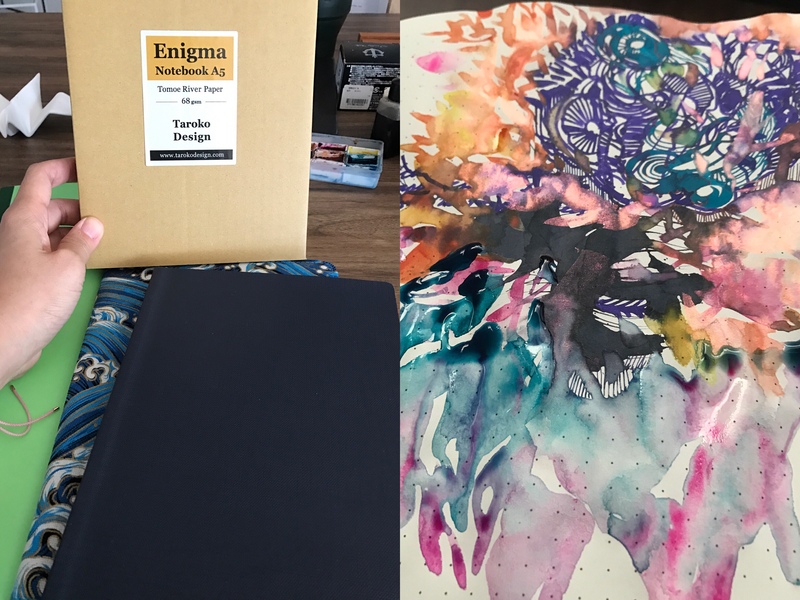 My most unusual notebook adventure had to be William Hannah, Filofax, and matching Atoma and Filofax punches, all hauled home from London. Below, a stack of Musubi diaries and a peek inside. The Taroko Design Enigma became my “not-too-precious” Tomoe River choice. 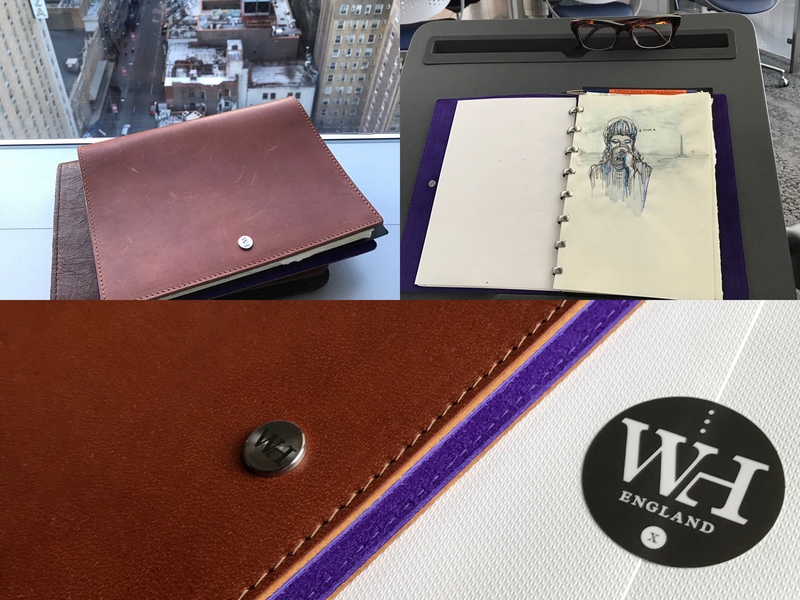 While it’s not my usual carry, the William Hannah A5 provides paper variety when I travel. In addition to the William Hannah refills, I stack Tomoe River, watercolor paper, even Yupo. 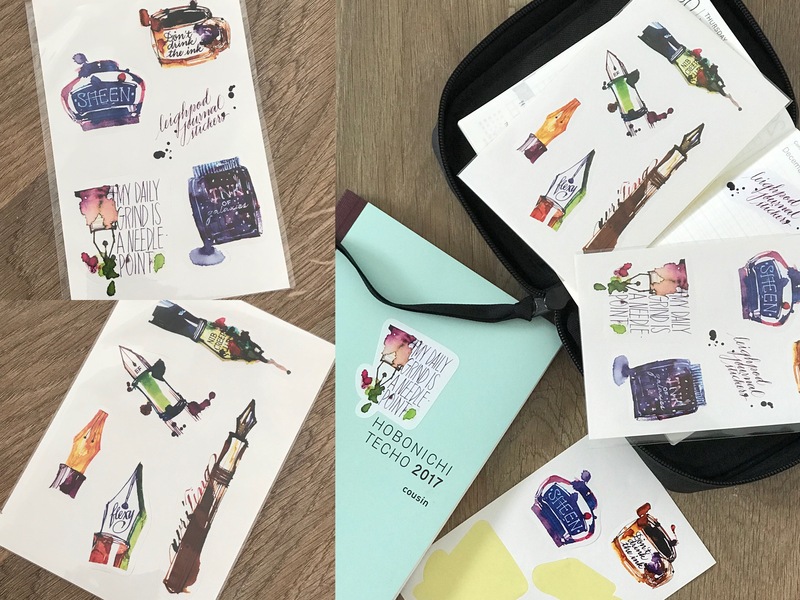 Platinum Classic Inks survived the lightfastness test (6 months facing the tropical sun) with some aplomb, and only a little fading. Artists can use it without too much worry. I would still not recommend any kind of direct UV exposure for ink-based work. 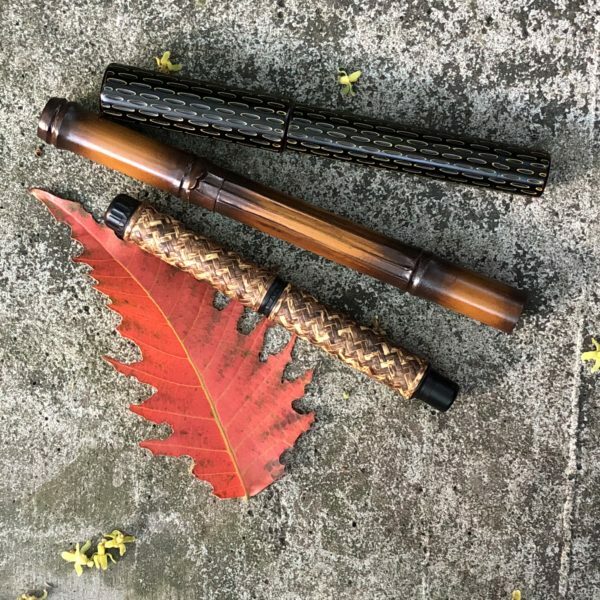 Butch Dalisay, the godfather of the Filipino pen community, wrote about Mark del Rosario and the first Filipino-made fountain pen in August. I count myself the happy owner of three made-by-Mark pens. One we call “the redheaded stepdaughter who lives in the basement,” because he never wants to see it again. Another has multiple threads in the cap, which just makes it look cool. The third sports a fireblued, etched Damascus steel section. 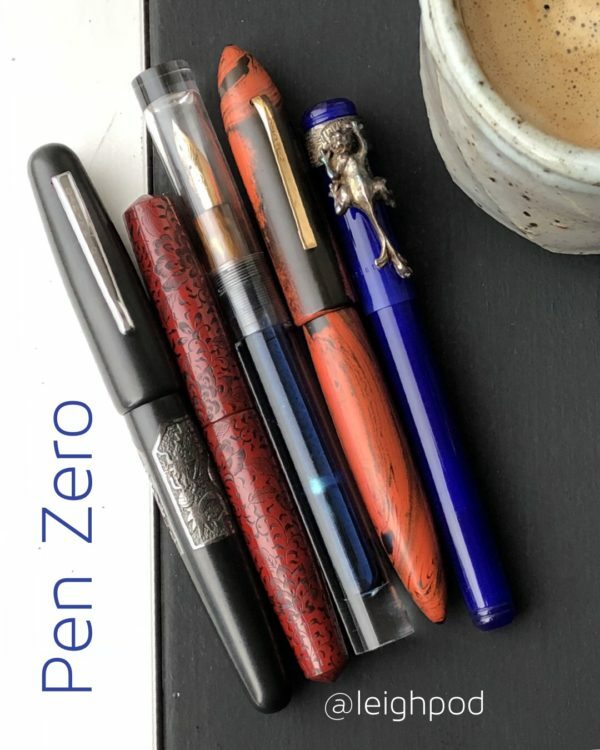 Four, if I include the modified Ranga with the triple-threat nib Mike Masuyama named “King Kong Eagle.” We’re not the only ones looking forward to Mark finally getting a breather from brain-doctorship to attend to pen making, which we all agree is more important than brains. 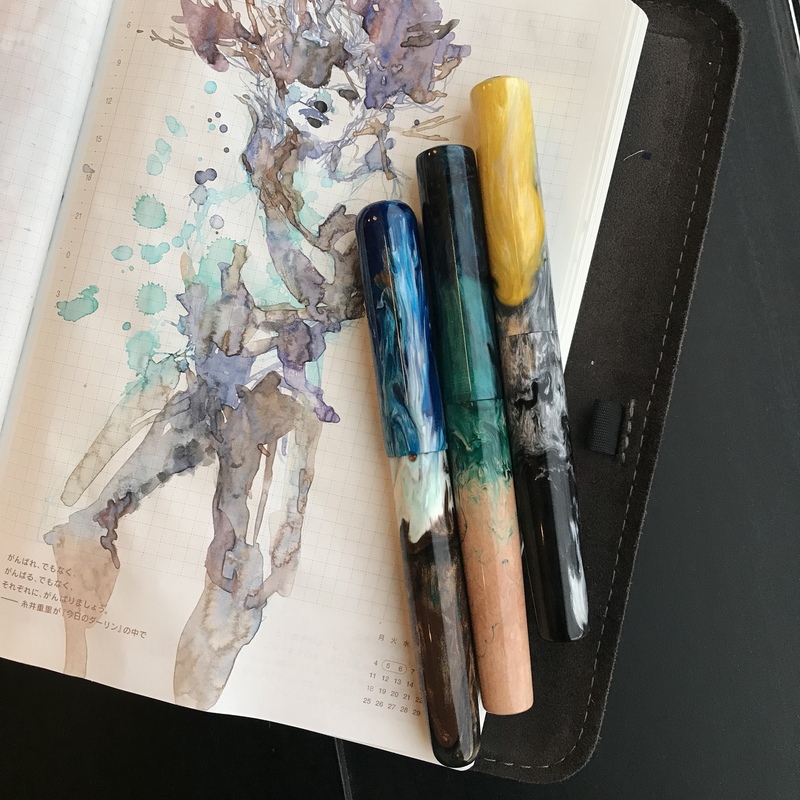 I discovered Hiroko through Instagram, and bought two Pelikans with kara-nuri work before I commissioned her to bring her artistry to a Newton Pens Prospector. As you might have been able to tell from my Instagram feed, this intergalactic traveler goes with me everywhere. The creative director in me can’t help but grin at this unorthodox application of my work skills. There will be more Bokumondoh in my future! And, finally: Leighpod Products and Projects. After many years of stretching my creative muscle for clients, it was both painful and rewarding to begin doing it for myself. Leighpod Journal Guides made it to Common Room’s shelves and Vanness1938.com’s inventory. 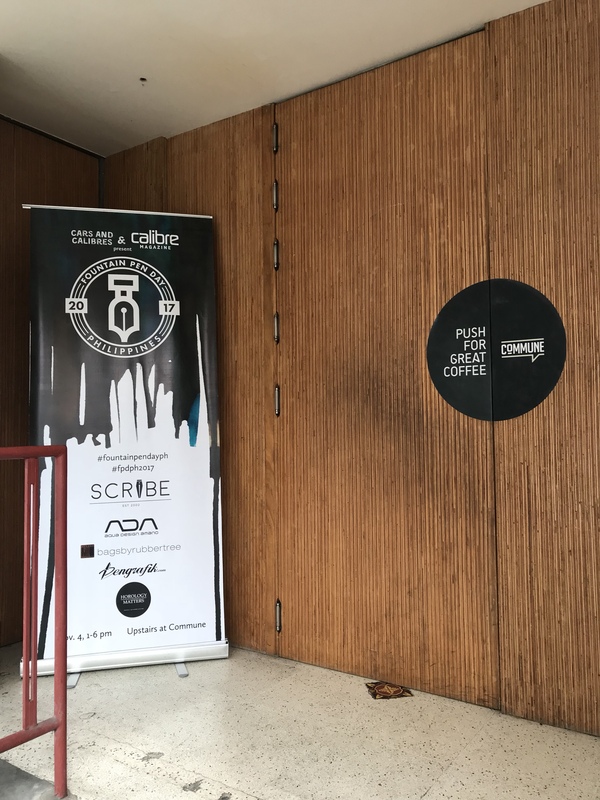 Calibre Magazine and Cars and Calibres sponsored this year’s Fountain Pen Day event at Commune, which I organized with help from friends. My fledgling event organizer skills and my nerves frayed but didn’t break. We surpassed 110 attendees despite the rain and the hardly-moving traffic. I might even consider doing it again next year. Might.